Every bride deserves to fulfil her dream. Oakfield Farm Wedding Venue is renowned for slick co-ordination. 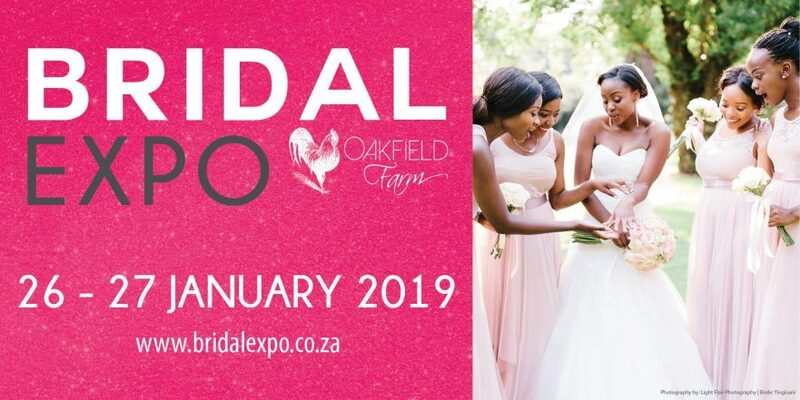 Our two Bridal Expos held in January & July each year continue to celebrate their uniqueness – upholding both an easy-going vibe enhanced by the exceptional quality of exhibitors; the elegant grandeur of its existence and of course the proficiency of Oakfield’s friendly staff members. Couples get to meet SA’s leading wedding specialists in the beautiful and romantic gardens of this sought after wedding venue.